The proliferation and trafficking of small arms and light weapons (SALW) in Africa is partly attributable to weak national controls, the porosity of state borders, and ongoing armed conflict on the continent. 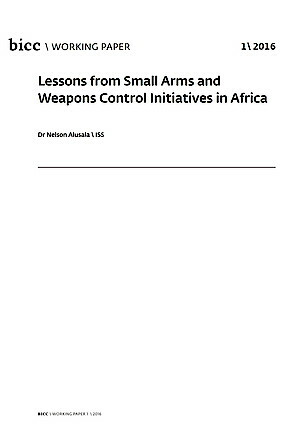 To address these problems a number of initiatives have been undertaken by states, regional organisations, and other various implementing agencies with the aim of enhancing small arms control. This report examines these initiatives over a ten year period (2005–2015) in sixteen countries across the Greater Sahel region and generates a set of lessons learned. These lessons cover topics such as project duplication, the impact of internal donor restructuring, and the importance of identifying the needs and implementing capacities of local partners. While these lessons are intended to contribute to the existing body of research on small arms control, they are also, more importantly, intended to help donors and practitioners improve project design and impact.